Solarwall | Let's Talk Energy Savings and Home Improvement! In architecture, trends have a vital role to play in design work. Spacesix Design A Glasgow based architect helped us put together a list of residential architect trends they expect to see in the next 5 years. Design Clients approach an architect to get a unique design. They see nice features in their friends’ homes, and in magazines and this influences them. Their needs and desires also inspire them, although this changes with time. Our current lives influence our homes’ designs and this has led to the growth of some innovative trends in design and architecture. Some of these trends are likely to be featured in the next five years as indicated below. Open-plan spaces involve interaction and connectivity. This trend is exciting since it indicates that people want to connect more with their friends and family. The key rooms in the house become areas for social activity and a lot of different activities happen at once. They make a home appear more amiable and welcoming. People are reverting to the concept of entertaining at home. Many families are meeting to engage in activities like movie nights and board games. Busy parents wish to monitor their children as they prepare meals and carry out other tasks. In many cities, real estate prices are increasing much quicker than salaries, and a rising number of young families discover they can’t afford to make savings for a first home and also survive. Retirees also find it hard to invest in houses. 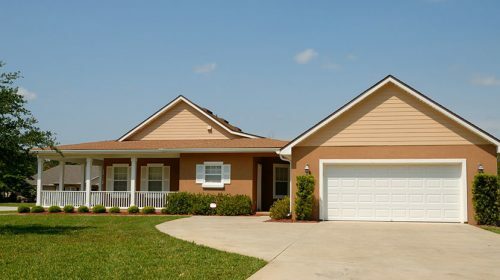 It leads to the popularity of the multi-generational home; here, many generations live in one house for a lengthy period. Friends can also share one house to enable them afford a home in an area they like. When you share a home with other people it can assist you to make savings for a down payment, manage monthly costs and reside in a favorite area when home prices increase. Having a couple of master suites offers adult families a private area and also allows them to share resources under one roof. Entirely bespoke design is becoming unusual in home architecture. It appears that individuals who are constructing a new house wish to have something that has a fascinating architecture. However, they want to depend on a plan that is ‘tried-and-tested’ which they can pick from a book. Many times, you can enhance and change the plans to suit your unique requirements. Off-the shelf plans and housing developments make the process simple and often provide a detailed approval procedure for local council. It signifies that the client obtains a home faster and cheaper. Architects design these kinds of homes many times. 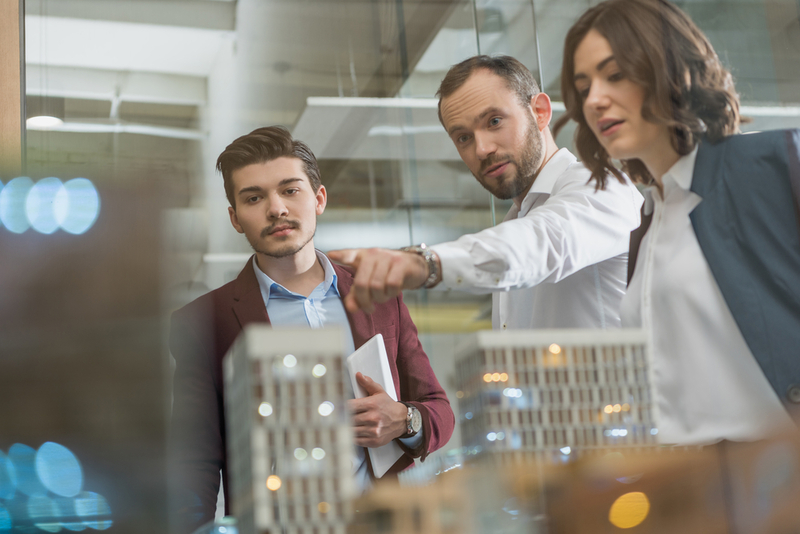 Off-the shelf plans as well as housing developments make the process simpler and usually provide an approval process that is streamlined for local council. It means that the client gets a house cheaper and quicker. Therefore, many times, architects design these kinds of homes while bespoke designs are for high-end clients. Initially, setting up a lovely bathroom involved the selection of tile. But today, the bath is turning into the bathroom space’s focal point. People want the design of their bathroom to be tranquil and relaxing, a shelter from the hectic day-to-day life. The bath is a large section of that. Baths are becoming increasingly sculptural in structure. Therefore, their appearance resembles art installations instead of bathing tabs. Many people prefer stone tubs that seem to be fashioned from the earth itself like a type of antique lustral basin. The home office is no longer hidden in a neglected bedroom. Today many people work from home and working and playing areas are combined. People go through their emails while on the couch from their laptop or in the bathroom from their phone. There are a rising variety of media hubs and devices and a stationary office is no longer effective. Today, individuals design charging stations throughout the house; spaces where they can store devices, charge and use them. Each of us is aware that the future home is self-sufficient; either a unit that is self-contained to enable it to produce its own power or a section of a community that shares resources locally. 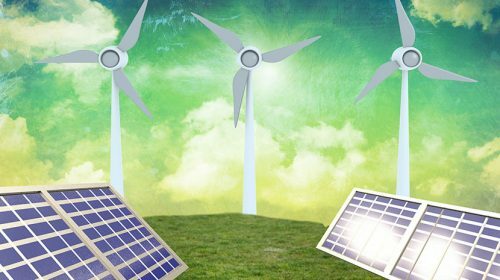 Most individuals are thinking of the future and implementing a technology to set up sustainable environments in their homes. In the past ten years sustainability is a trend that has developed and it seems it is here to stay. An architect will be required to work on designs that are passive, include solar arrays infrastructure, and make modifications for eco-technology which is increasingly sophisticated, for example, the latest Tesla batteries. Man caves have risen in popularity today. These rooms enable many clients to optimize their creativity. These spaces present an opportunity for family as well as close friends to enjoy. These areas are for people to engage in their favorite hobbies. Often, man caves include architectural challenges like a roof-span that is extra wide, to accommodate planes or boats; even a music studio that is soundproofed! Individuals want an area in their home that is not packed with big televisions or clutter. It might be the typical ‘library’ area with a fireplace, and shelves of hardwood heaped high with books or a yoga or meditation room. Many times, quiet areas can be fixed in tricky corners to make unoccupied space ‘fill out’ in a complicated plan. It may include complex architectural factors like internal courtyards, enormous skylights and indoor gardens. Everything should be kept in its appropriate place. This phrase is more applicable than ever, and it has become particularly crucial, since the regular family bears the burden of a lot of stuff. Examples are bicycle repairs, camping equipment, board games, toys, model train sets, and designer clothing. All these have turned the home into an inbuilt storage solution that is custom-designed to handle everything. The kitchen has particularly turned into an entertainment area. Therefore, clutter has been shifted from the bench tops and cupboards into a detached pantry space. It mainly includes sinks, prep-stations and a second oven. Although the end of the year is night, there are still plenty of trends that are gaining traction that look to continue into 2019. Regardless of whether you’re looking to expand on your current design or wishing to give your kitchen a complete overhaul, the following trends can help when it comes to inspiration. People often find nature calming, so it should come as no surprise that this discreet but alluring colour has found its way into kitchens across the United Kingdom. Clerwood Kitchen and Bathrooms have stated that customers are requesting various implementations of green into their kitchen design in the guise of palm trees and botanical in a trend that isn’t dissimilar to the floral trend that was popular in the mid-noughties. The use of hidden storage started early in 2018, but it remains popular and looks to continue its popularity into 2019. Although many of us conjure of images of a mythical being awash with colour, the ‘unicorn’ theme in relations to kitchens is a little more discreet. When looking at past designs, it’s easy to conform to the same old colour scheme, but the unicorn scheme offers an injection of originality while still being able to offer a colour scheme that inspires and feels homely. Pale pinks and blues are being matched with discreet helpings of glitter in a trend that’s destined to continue making an impact in 2019. It’s not only a myriad of new colours being introduced into the kitchen, but also a slew of discreet patterns which when used in the right way help bring some additional character to your kitchen with little effort. Lines and herringbone-patterned tiles are finding traction in the kitchen, as are bold features walls embracing the charm and allure that patterns have to offer. Although many people will be invested in the aesthetics of their new kitchen, others will be keen to ensure that they’re designing a kitchen with the environment in mind. 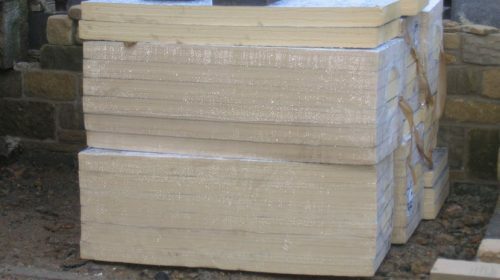 As such, there has been an upsurge in online searches relating to organic materials, and plywood is a material that is gathering momentum among those looking to reduce their carbon footprint. Regardless of whether you’re looking to create a modern kitchen or looking to portray a traditional style, plywood can leave an impression that is clean and stylish, while being eco-friendly. 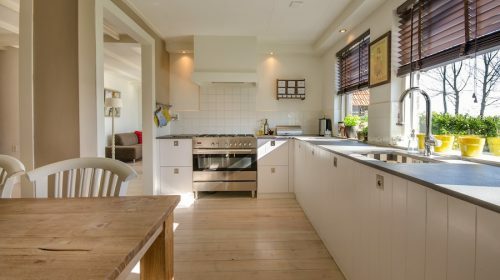 Open-plan kitchens have been beneficial to many homeowners due to their space they’re able to offer, but that’s not to say that the design isn’t without its faults. 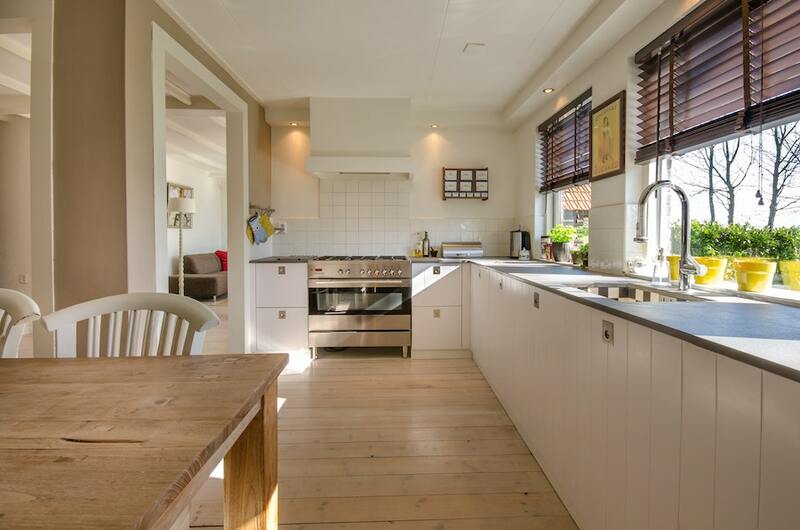 Although the available space is a plus, it does mean that the kitchen can soon become messy when having guests around. A broken-plan kitchen not only allows for some additional privacy in the kitchen, but many have found that introducing a broken plan into the kitchen helps reinforce it as a social hub during family time and social gathering. Are you looking to add some add some additional depth to your kitchen, but are worried that colours may clash? Then the two-tone approach could be one that is beneficial. Two-tone colours are being introduced in several different ways. One example of this is the use of dark blue cupboard contrast against a light blue base unit. The scheme offers a taste of personality, while still allowing for a uniformed modern aesthetic. Designers will often look at lands afar for inspiration, so it’s not surprising that the globe has been yet again an influence on the aesthetics of the kitchen. This time it’s Morocco’s time to shine, as its characteristics are made up of large wooden worktops, gold lanterns and mosaic wallpaper. The inspiration Morocco offers has led to a relaxing yet eye-catching ambience that makes the kitchen the ideal location for both social gatherings and respite. It’s not only the design of the modern kitchen that has evolved, but also the appliances. The humble kettle has been the go-to appliance for hot water for several years, but more and more consumers are searching for time-saving methods around the kitchen, and hot water tapes have been gaining traction and will prove to be popular for the foreseeable future. It’s easy to assume that the inclusion of hot water taps are nothing more than a luxury when it comes to kitchen design, but the same was true for dishwashers at one time. The truth is that demand for hot water taps has meant that the cost of such an item has dropped. What’s more, professionals dealing with kitchen design find that including a hot water tap into the overall kitchen design is simple. This isn’t to undervalue the benefits a kettle is able to offer, but a hot water tap shouldn’t be dismissed on the assumption it will be too expensive. When we think of kitchen design, it’s not often that an industrial inspiration would be at the top of the list, but you’d be surprised at how well the industrial theme works within a kitchen. It’s most prominent influence is brushed brass, which is being used in various ways in the kitchen, including taps and plug sockets. Whatever taste you have, there will be a trend that not only fits in with your vision but can actually help conjure up more inspiration as result. Regardless of where we work, it’s important that the workplace is kept clean. This is especially true within an office environment. Not only does cleanliness ensure that there are less bacteria, but it can also ensure that the office is safe an free from obstruction. www.shinecleaningsolutions.co.uk states that there are many ways of maintaining cleanliness within the office, but it’s also important to find a regime that works in favour of the business. The use of the following tips can ensure that you’re able to keep order in the office and make sure that everyone plays their part. The role people play can depend on the size of the office, but more often than not, everyone normally has a role to play. The role could be simple, such as keeping a work area tidy or cleaning their coffee cups after use. If everyone has a part to play, then keeping an office clean and tidy shouldn’t be too much of a challenge. Although everyone can ensure the office is kept clean, there will be times when there are unexpected spillages and mess. As such, it’s important to ensure that there are cleaning supplies to hand to ensure that the spillage doesn’t have time to stain or create unpleasant odours. In most instances, businesses will make use of a commercial east disposal company. When dealing with waste, it’s important to ensure that regular collections are in place, otherwise, there could be the potential for unwanted bugs and rodents. Not only can this cause problems outside, it can mean that when pests find their way inside, it could lead to damage and unwanted waste. Monitoring waste ensures the business can schedule collections that keep excess waste to a minimum. Should there be a project that will contribute towards a lot of waste, then it can be useful to discuss alternative plans with the waste management company. 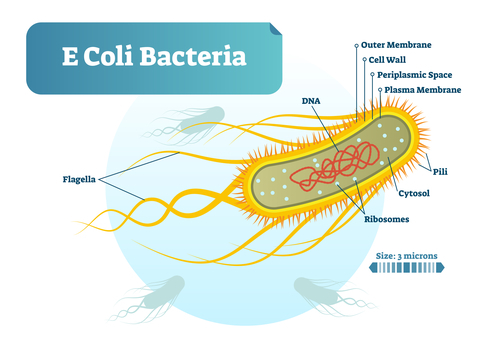 When we think of bacteria lurking, it’s not uncommon to assume the worst culprits are lurking in the bathroom. However, many are surprised to find that most of the bacteria they’re exposed to can lurk within their keyboards. Ensuring that computers are cleaned regularly helps ensure that any illnesses associated with the bacteria are eliminated, and the office as a whole is much cleaner place. Loose paperwork can be a problem in any environment, but it can be the most problematic in the office. Not only does a business have to ensure it’s dealing with data protection law, but paper scattered around the office is unsightly and unsafe. Implementing an effective filing regime can ensure that there is loose bits of paper, contributing towards a more efficient and organised office. Some businesses may ensure that the office is kept clean, but is the same true for the windows? 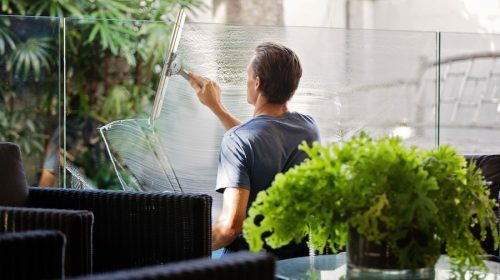 Not only can dirty windows create a dull working atmosphere, they can also be off-putting to visitors. 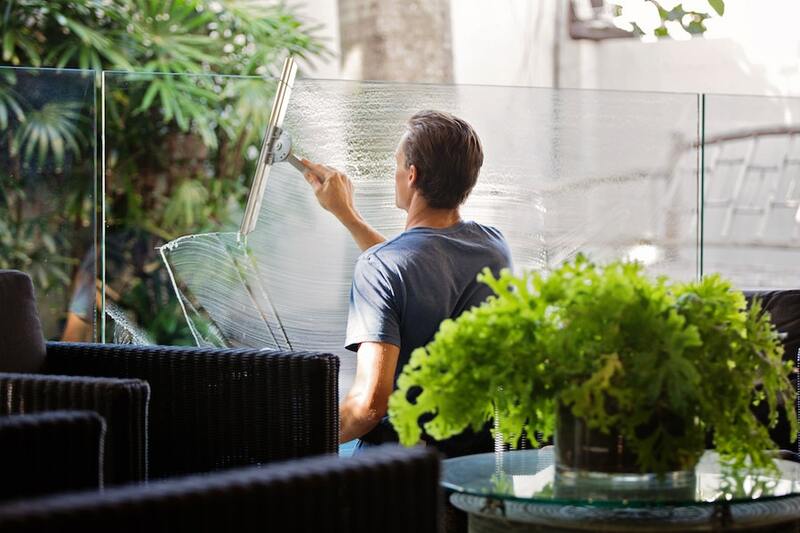 Small businesses may be able to contend with window cleaning itself. However, those with larger premised may want to make use of a professional. In the office environment, the carpets will normally be the first to accumulate dirt, simply because of the foot traffic. This can mean that carpet cleaning has to be carried out, but some find that it can be a hindrance to the business. It’s important to be realistic about carpet cleaning and ensure that right solution is in place. For example, if there is going to be disruption to the business when cleaning the carpet, then it may be useful to search for a professional who can carry out the work during the evening or weekend. Just because one employee takes care of the equipment doesn’t meant that everybody will, which can cause problems around the office if the kitchen area becomes dirty. In some instances, the microwave could be used and not cleaned. Other instances could mean that food is left in the fridge past its expiry date, which often means a foul odour occurs. Ensuring the microwaves and fridges regularly ensures that there are less bacteria looming and less unpleasant odours. A rule could be put in place that makes it clear what happens to food left in the fridge for a set period. The phone is another piece of equipment that many of us overlook when it comes to cleaning, but like computer keyboard, telephones can harbour all forms of bacteria. Fortunately, there are series of wipes available for this very task, which not only clean the phone but also eliminate most of the bacteria. Although waste paper bins don’t normally anything that could set off unpleasant odours, it doesn’t mean it’s impossible. The emptying of waste paper bins is also important from a health and safety viewpoint, as it could be detrimental should a fire occur. A simple rule could be put in place that all bins are emptied at the end of the day, or it could be included as part of the service offered by a professional cleaning company. As you can see, there are many ways of maintaining cleanliness in the office, but this doesn’t mean a helping hand isn’t needed at times. The use of a professional cleaning company can be tailored to the requirements of the business. So regardless of whether you need a full-time office cleaning solution or a part-time cleaning service, it could be worthwhile speaking to a professional. 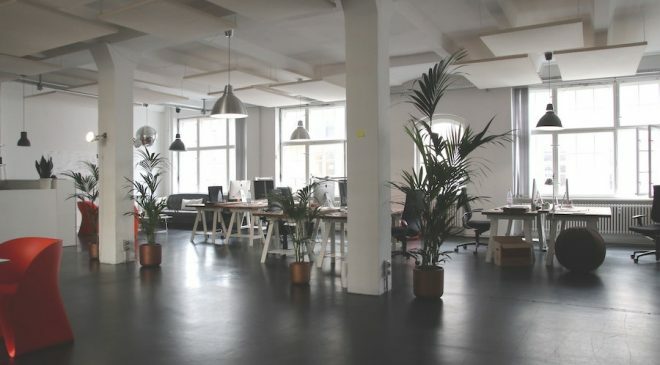 Regardless of whether you’re looking to start a new business, or expand a current one, it can be an expensive endeavour depending on what you’re looking to achieve in relation to work space. 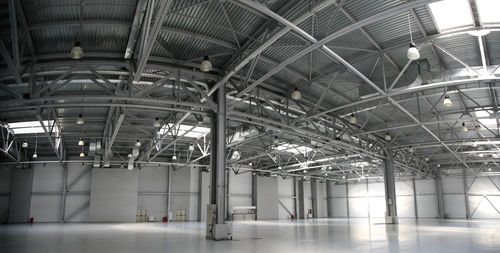 Although there are several options available, the popularity of steel buildings is currently soaring. www.steelbuildinguk.com has seen more and more businesses adopt steel buildings due to their cost-effectiveness and bespoke qualities. However, this is only the tip of the iceberg when it comes to the benefits a steel building can offer. 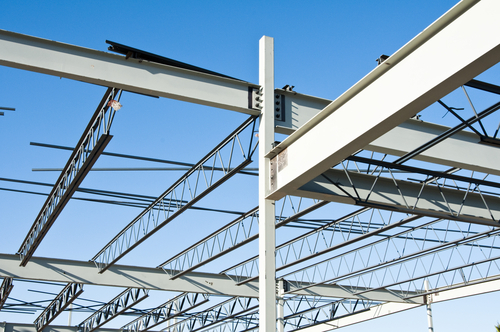 The following is an overview of some of the benefits that business owners can expect when using a steel building for their business. 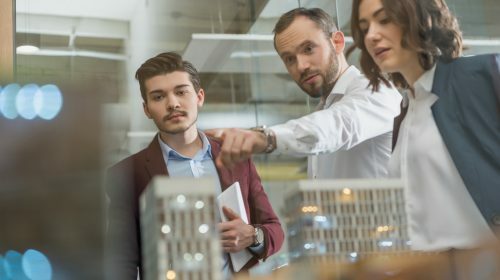 When looking to create business premises, time is of the essences, but those looking at brick and mortar solutions could be waiting for some time. Of course, there will be times when other materials are more practical for a specific project, but if you’re merely looking for an addition to an existing business, then the use of steel buildings could be beneficial. Even those with low start-up costs can enjoy the rapid and reliable construction of steel building. An example of this can be a mechanic looking to branch out on their own. Similarly, existing garages may wish to make use of a steel building to act as an MOT centre. There can be times when business owners are looking for a tailored solution when it comes to their premises. The use of steel is not only cost-effective and prompt, but it also allows you to create the perfect set of work premises, regardless of the size. This ensures that you’re not having to pay excessive rental fees for premises that are more adapted to your needs, meaning more profit can be reinvested into the company. It’s also worth noting that the aesthetics can also be altered to suit the tone of the business. Although many associate steel buildings with agricultural and industrial industries, many companies are embracing the benefits that steel buildings have to offer, even if it acts as subsidiary to the main building. Even those looking for additional storage space are able to make use of steel buildings, regardless of whether the business is storing vehicles, stock or stationery. To get the best from your steel building, you need to ensure that you’re using a seasoned professional. However, once you’ve found the right expert to erect your steel building, you can look forward to a resilient building that can withstand the elements, and even protects against unwanted visitors. Given how quick it is to obtain a steel building, it would be easy to assume that it pales in comparison to other materials, but steel buildings offer years of use, at a much cheaper price. The world has become focused on the environment, and for good reason. Years of neglect has meant that resources are more scarce, so it makes sense that recycling is a common practice across the UK. The steel industry is no different and will always ensure that steel is being reused whenever possible. What’s more, once the steel building has been through its life cycle, it will be reused for future endeavours. The low cost of steel buildings is made possible by recycling. Although it can’t be guaranteed that a steel building will be able to lower your insurance premiums, there’s certainly a better chance. Given the fact that steel buildings have been known to withstand adverse weather conditions such as high winds and storms, its resilience has been proved again and again. As a result, companies offering business insurance have more faith in steel, and as there is less likelihood of it perishing, the insurance premiums will often be lower. Of course, there are other contributing factors, but it’s a worthwhile consideration if you’re looking to balance affordability with practicality. When looking at the running costs of a business, it’s easy to dismiss gas and electric as trivial amounts. However, the amounts build up over the year, and there’s a good chance that if you’re overspending if you’ve not been monitoring your usage. Metal buildings can offer benefits in both hot and cold climates. During the winter, a steel building can be heated relatively quickly, and will often retain the heat meaning less is being spent overall. 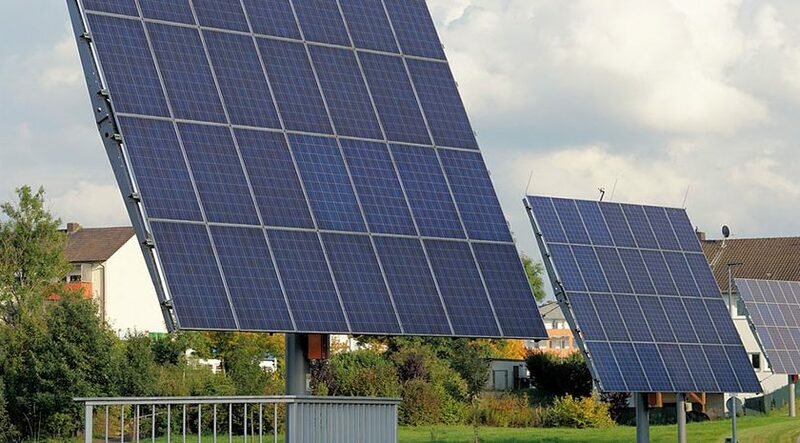 Similarly, warmer days will often mean the building is heated by nature alone, which again can only have a positive impact on your bottom line moving forward. Even very cold locations can make use of metal buildings, as adding insulation gives you the perfect working environment for a low cost. It’s already been established how robust steel is, so it should come as no surprise that when it comes to repairs, they’re often few and far between. 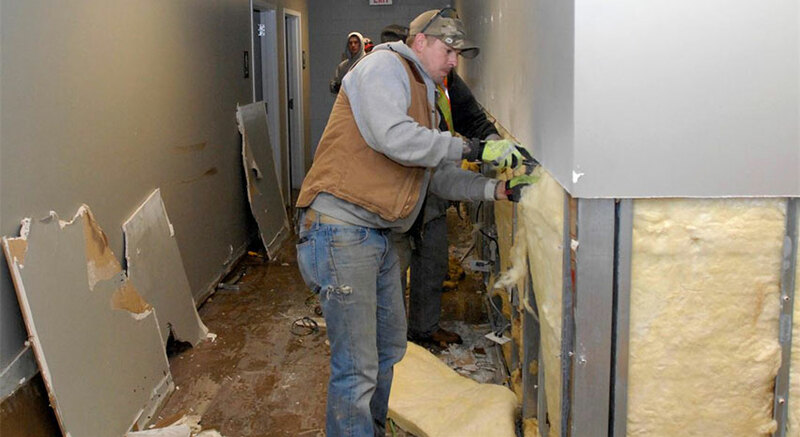 Of course, there may always be some form of damage at some point, but when compared to buildings constructed of other materials, the costs of maintenance are significantly lower. When deciding to use a steel building for business, it’s easy to assume that once a company has outgrown it, it will simply be reused. However, many steel buildings can be remodelled with very little ease. Not only does this mean that remodelling your work premises is a simple endeavour, but it’s much cheaper than having to create new work premises from scratch. Not every business will benefit from a steel building, but you would be surprised at just how versatile metal buildings can be. No one likes to discover a pest infestation in the home, and the sight of one alone is enough for people to take action. However, others may have the opinion that if the problem isn’t too severe, then there is less chance of any repercussions. Unfortunately, nothing could be further from the truth. Regardless of the severity of the problem, those with infestations need to be mindful that even the smallest of infestations can harbour several different diseases that could go on to impact the rest of the home. The following is merely an overview of some of the illnesses and health problems that can arise due to a pest infestation, reinforcing the importance of professional pest control. 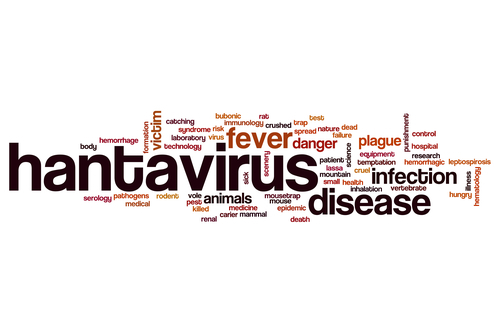 Just because Hantavirus is rare doesn’t mean it shouldn’t be taken seriously. The illness symptoms include fever and haemorrhage, but worst-case scenarios could include renal failure. The illness is caused when humans come into contact with urine or droppings left behind by rats or mice. Those who discover urine or droppings shouldn’t be too alarmed, but it makes sense to use a pest control professional as soon as possible. Although these illnesses can have other causes, the presence of cockroaches can be a contributing factor. The problems can worsen if they happen to land on food, so it’s important that cockroach infestations are dealt with promptly. The symptoms of salmonella, dysentery and gastroenteritis include diarrhoea and vomiting, although contamination from rats and mice can have similar symptoms. Illnesses like e-coli, pneumonia and listeria can have several different causes in relation to pests. For example, bird dropping present in the water can cause listeria and e-coli. When accumulated, bird droppings also have the potential to release a dust that when breathed in can cause a series of respiratory infections and pneumonia. Again, these symptoms are often the worst-case scenario but do highlight just how serious the presence of pests can be. Another rare illness that is attributed to rodent waste is Weil’s Disease. Rather than contracting the illness by coming into direct content with faeces, it is instead contracted by contaminated water via open cuts on the body. The contamination is normally due to rat or mouse urine being present in the water, and while normally experienced more in farming locations, this isn’t to say that it can’t be experienced in a more conventional home. Those who rely on rustic water supplies or reside within an agricultural area will need to ensure that there are checks in place to ensure that no pests are present. Livestock can also be subjected to the dangers of pests, so pest control is essential. 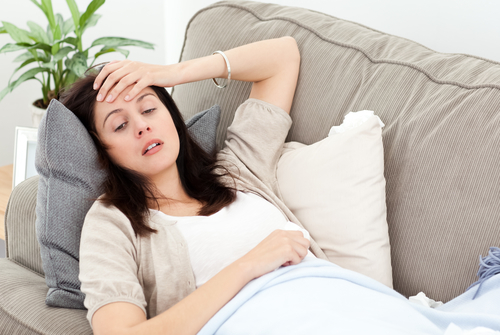 The symptoms experienced are comparable to flu, but often have more serious consequences, such as liver damage and meningitis. If you have discovered any form of pest or droppings around the home, then it would be understandable that many will be concerned, especially given the above. However, in most instances, there will be little effect as long as the problem is dealt with promptly. The problems associated with pests don’t normally present themselves if the property is hygienic but can make themselves known should any waste be left to accumulate. When dealing with pests, there aren’t only the potential illnesses to consider. Pests earn their namesake by being intrusive, so it’s not unusual to see them around food, as well as damaging wiring and flooring. Therefore, it’s important to call upon the services of a professional as soon as possible. Regardless of whether you’ve discovered a small nest of mice or an intrusion of cockroaches well as damage being incurred to wiring., calling a professional will ensure that there is less likelihood of any illnesses arising due to pest infestations. Should I Deal with the Pests Myself? When dealing with a pest infestation, it can be tempting to deal with the problem yourself in a bid to save some money. Although the occasional pest can be easily dealt with, those with an infestation will normally find that they’re fighting a losing battle. This is because the solutions sold in shops for pest control are fine four a few pests, but sometimes getting to the root of the problem will require a more experienced and robust approach. Pest control is also about safety, as some pest can be more vicious than others. Attempting to deal with problematic pests ourselves could not only mean that the problem is worsened but in more extreme cases could mean injury to ourselves. Although there will be a cost associated with professional pest control, this is often much lower than having to deal with the ramifications of a pest infestation. It also gives you that peace-of-mind that the pests are being dealt with by an experienced professional. Knowing how important it is to get rid of pests, you will want to ensure that you’re using the right pest control company. When trying to deal with bests, it’s understandable that some will be concerned about the cost but using a cheaper solution could mean that the problem isn’t dealt with for the long-term, so you could end up sending more calling out another professional. Of course, there’s nothing wrong with finding a great deal when it comes to pest control, but it’s important that you also consider the value of the service on offer. A professional pest control company will treat each infestation separately, ensuring that the right approach is used every time. It will also ensure that services are carried out at a time that suits you, that has little impact on your living arrangements. Those searching for pest control services in Chester will want to ensure that they’re paying the right price when it comes to using a pest control company but ensuring that the company also has the relevant and experience and reputation will ensure that your pest problem is eradicated quickly. A lot of homeowners tend to believe that home improvement projects need to be large or costly to be truly effective. We’re here to emphasize the fact that no, you don’t need to go big to make a big difference. In fact, some of the more effective ways to elevate one’s living space doesn’t really need to be large or expensive. If you’ve ever wanted to add a little bit extra to your wall’s presentation but didn’t really want to go with something permanent or to go with expensive paint, wall vinyl is a good option. Wall vinyl works like a giant sticker for your wall. You pick the design and you can even customize it at times! From there you pick the wall and peel off the adhesive and stick it to the surface. It’s something that you can peel off without any damage to the wall so you can keep replacing it. A paint job will cost around $200 minimum and can even cost a lot more if you’re planning on doing a massive pain job. A wall vinyl costs around $30 and even less if you just want a few accents. Got stairs? A lot of the time it can be quite annoying to have slippery steps or having to touch bare feet to cold surfaces. However, it can be quite costly to have full on carpets for your stairs. Even if you go with a cheaper option rug, you will still be quoted a minimum of $3,000. Our solution is to go with a stair runner carpet. It may not completely cover the surface are but it certainly provides traction for feet and it’s a pretty special accent to boot. 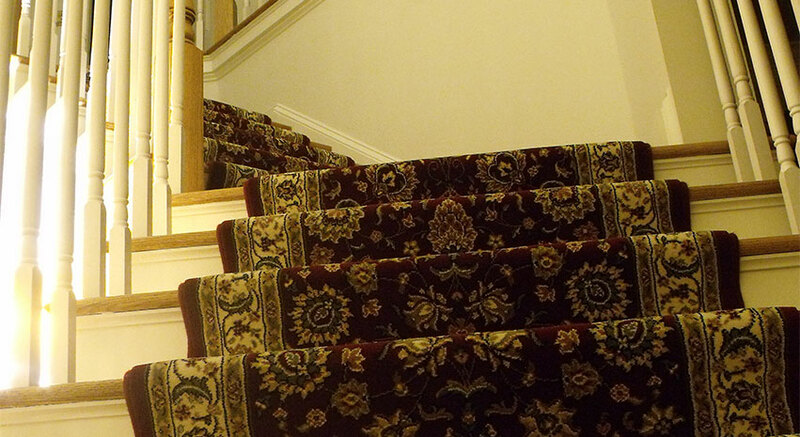 There are a lot of affordable stair runner fabric and designs out there. The ones we see run for as low as $250. That’s a big steal as compared to the $3,000. You would be surprised what the right sort of indoor plant can do for your living space. Not only will it add a dash of life and a splash of color but it can help solve any mold and humidity problems that you may be having. If you really want to maximize your space, you can even raise consumable plants and herbs. So not only will you get the benefit of adding life to your space but you’ll also be saving up on costs when you want fresh basil or rosemary for your meals! It doesn’t take a lot to get started on your indoor plants. You can buy them as is or get a seed pack to get started. So not only do you get a home improvement project but you also get the chance to legitimately grow something in your home. So with that, we would like to pass on a question to you fine folk! What simple and cost effective ways do you know of to further elevate your home? If you’ve ever seen a wood-burning stove in action, you will understand why they have become so popular. 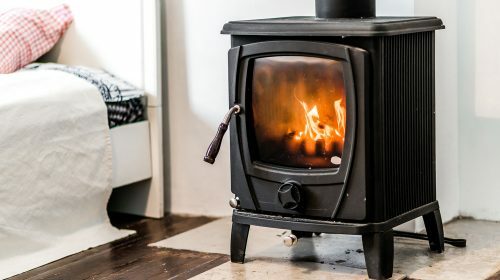 In fact, more and more people choose wood-burning and multi-fuel stoves for the savings they offer in relation to heating bills, as well as the reduced impact it has on the environment. Despite their design, stoves are also very adaptable. As well as being used in businesses and old building, they’re also finding their way into many modern homes. However, those who are looking to get the best from their new stove will need to ensure that they’re only using seasoned professionals when it comes to the installation. This may seem like a time-consuming endeavour, but the Internet makes it easy to carry out checks quickly, which puts you in a much better position when searching for stove installers in Stirling. Although anybody can claim that they’re able to install a stove, only those who are able to prove this should be hired. Fortunately, there are plenty of ways of checking online reviews. There are several business directories that allows for customer reviews to be left, and even social networks can offer reviews in relation to all types of business. Although you will need to invest some time to ensure that you’re getting a fuller picture of how the company operates, it’s much better than having to rectify an issue because a professional wasn’t used in the first instance. A company may have a series of good reviews, but if something goes wrong then its important that the company you use for your stove installation is insured. Although such occurrences are rare, this doesn’t mean we should assume that nothing will go wrong, especially when it will only take a couple of moments to check what credentials a company holds. If something goes wrong and an uninsured company was used, then you could find that your left with the cost when it comes to fixing the problem. Although a new company will be working hard to ensure it meets customer expectations, this doesn’t mean that are well-placed when it comes to giving advice. Although many like the idea of stove, not everyone will know the best way to implement it in to the home or business. 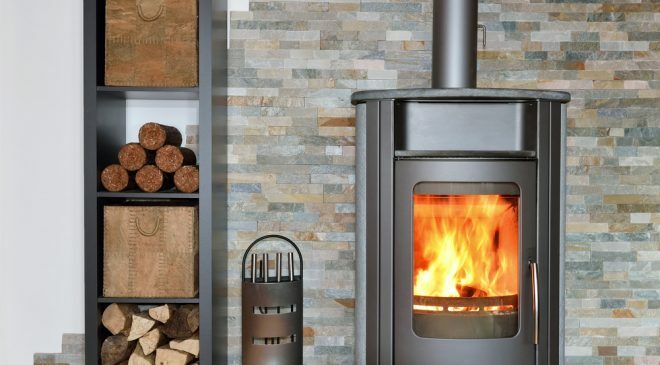 Using a company that has deal with wood-burning and multi-fuel stoves for some time will ensure that you’re always given the best advice, allowing you to make an informed decision when choosing where the stove should be installed. Has a Survey Been Carried Out? Just because you’re keen to get a stove installed doesn’t mean you shouldn’t focus on the smaller details. Rather than just turn up and carry out an installed, the company you’re purchasing the stove from will usually carry out a survey to ensure that the right appliance is being installed. It also ensures that the right choice is made when it comes to your budget, as well as the type of fuel you want to use. If you find that a company is forcing you to choose a particular model without ever viewing the property, then it’s advisable to look elsewhere for stove installation. There’s nothing more exciting than planning for a new stove installation, but if the professional we use is not able to maintain communication, then we could find that the installation ends up taking longer than it should. Although there can be times when unforeseen circumstances arise, for the most part, the company you’re using for the stove installation should be able to communicate with you and work around your schedule when it comes to the installation. If you find that you constantly have to call the company for an update, or your calls are being ignored, then you may want to reconsider the professional you’re using. As well as good communications, you should also be given a genera idea of how long the work will take. Again, there can be times when things change, but ongoing delays are very frustrating. Delays occur from time-to-time, but if you find you’re constantly being given excuses in relation to your stove installation, then it may be worthwhile holding back on the install. Do You Know How Much You’re Paying? Depending on your need, the price of stove installation can vary. However, this doesn’t mean that we should be subjected to a series of hidden charges or unclear quotes. Professional companies will ensure that the choice the customer makes is practical and affordable. 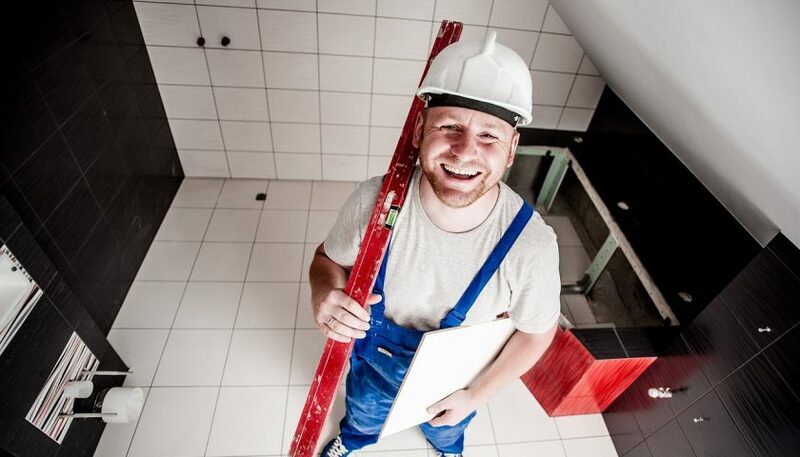 If you due an installation and you’ve still been given no indication of how much the job will cost, then it may be worthwhile enlisting the services of another professional, or you could end up in financial hardship. 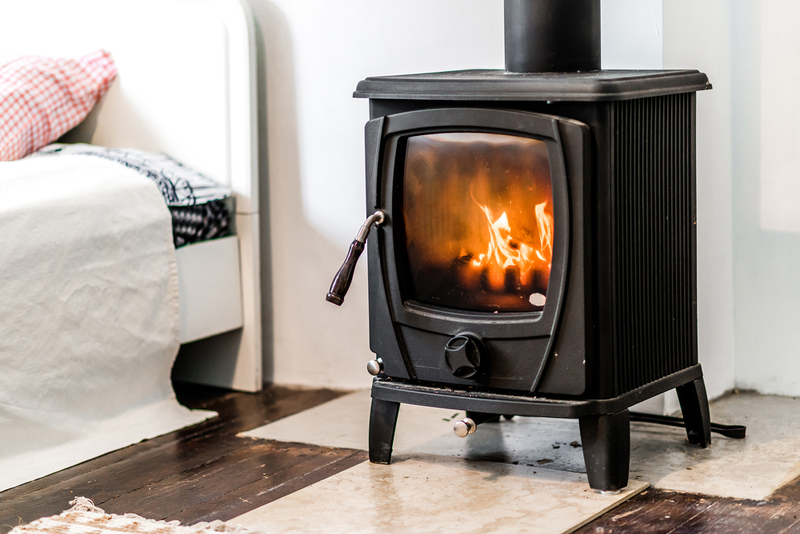 For the most part, those looking to benefit from a wood-burning or multi-fuel stove are able to do so without incident, but this doesn’t mean we should rest on our laurels. Being pro-active and making a few checks beforehand is much better than experiencing the dreaded hindsight afterwards. Not every home was built to have insulation. As you can imagine, there have been really old homes that are still around today. 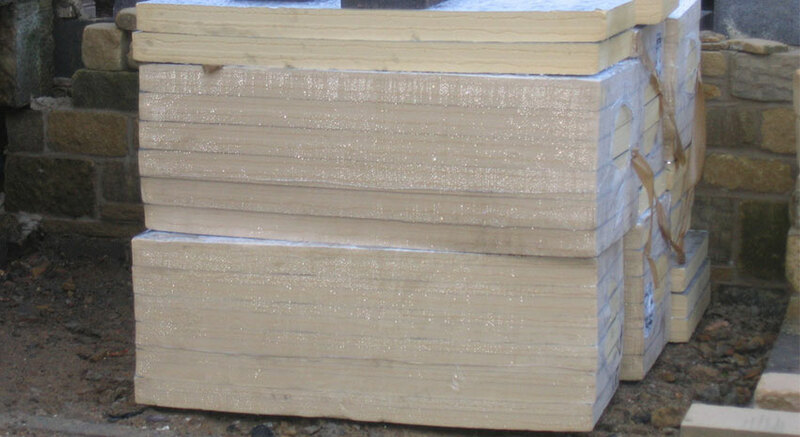 It is those homes that often face the problem regarding cavity insulation. If you’re from the UK, you will be very familiar with this head-scratching subject. Cavity Insulation is a type of insulation that is normally injected or poured into the cavity of a home’s wall. Back in the day (yes, we’re really using those words) people just made their homes with using a layer system so that the insides would be generally sequestered off from the external temperatures. What’s generally left of that layering system is a whole lot of cavities that were highly favored by rodents and other forms of pests. 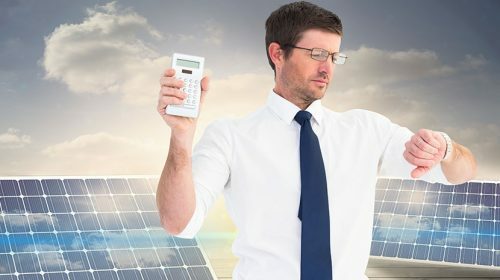 The UK government (like several other governments) launched an initiative to help elderly residents with their energy costs. In this particular instance, there have been a lot of homes that made use of cavity insulation paid for by the local and national governing bodies. So what’s the problem? Well as it turns out, a lot. When you force something into a space that is generally kept sealed, it is inevitable that there will be certain things that will end up changing. In this case, it seems that the vacancy that was filled ended up putting new pressure on the walls—both the interior and exterior ones. So there have been a lot of people that have reported sudden cracks all over their homes. The trouble with cracks is that with time, these will spread and will eventually lead to the overall deterioration of the home. Instead of being secured and saving up from energy costs, now a lot of people need to shell out funds to get their homes repaired. Insulation is supposed to keep out the cold and to make the interiors warmer. However, in this case there are a lot of homeowners that have reported a rise in the dampness and the humidity of the interiors of the home. It seems that there were some voids in the installation of the cavity and this caused odd concentrated cold spots which allowed water to seep into the other insulation and through the walls themselves. As the cavity insulation was done primarily in the homes of elders, the dampened interiors can lead them to a lot of lung problems and even infections. Instead of saving money, they end up spending to make sure their immunity is up. With this, we want to pass on a question to you lovely folks! What other cavity insulation problems have you heard of? What practical solutions can you think of for this UK problem? When it comes to the homes in locations where they experience drastic heat, humidity, and even freezing cold, it is important to have suitable insulation. In case you haven’t guessed it, today’s discussion is going to center on the topic of insulation. We took advice on this subject from AnyWall who are external wall insulation specialist. If you aren’t familiar with it, building insulation is used primarily for thermal purposes. They are placed within structures like ceilings, walls, and in some cases, even flooring because they are meant to keep the external temperatures from affecting the internal temperatures. So let’s say that it’s crazy cold outside of your house. Your insulation will prevent that biting cold from fully infiltrating your home. For today, we wanted to address some of the more common misconceptions that people tend to hold about it. Let’s jump into it! The term ‘insulation’ is a catch-all word for what is usually used to keep out cold or heat for a home or any general building. This, however, does not mean that they are all the same. 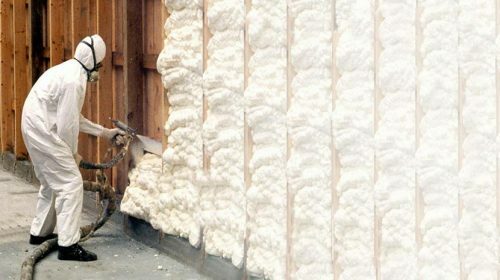 There are tons of different types of insulation and each come with their own pros and cons. Homeowners generally decide which is best for them after consulting the general weather and seasons of their area, installation costs, upkeep costs, and what the general pros and cons are. Always read up on a lot of different facts so you don’t end up smooth-talked by someone selling you an inferior product. Big false flag right here. 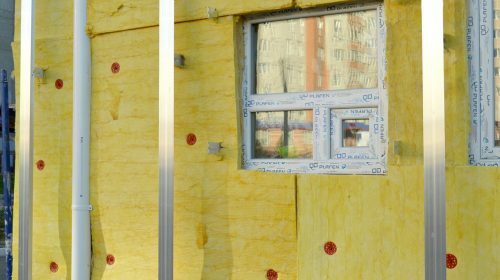 While it would be—quite admittedly—awesome if insulation was indestructible, the truth of the matter is that there are some forms of insulation which are made of organic material. If that material happens to come into contact with water and allowed to stay that way, they put the family at risk for exposure to mold and mildew. Different types of insulation have different types of weaknesses. This is why it is important to get to know each type and carefully determine which type would best suit your home and see how durable they are over a period of time. You would not be the only one to make this pretty common misconception. A lot of people believe that insulation is only necessary for homes that experience winter seasons. What they don’t realize is that homes in the desert also need insulation to sufficiently block out the extreme heat that their weather and surroundings bring in. 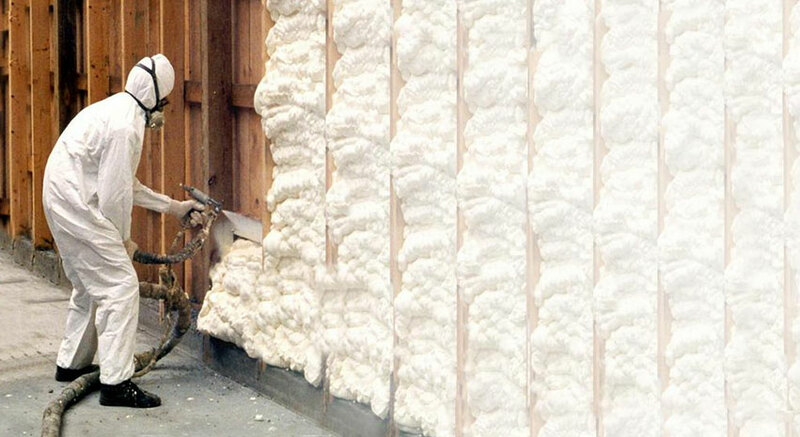 Insulation is needed for a bunch of reasons and we highly suggest that you read up on the many different uses of insulation and what benefits you can reap from it. From this point, we want to pass on a question to you lovely folks. 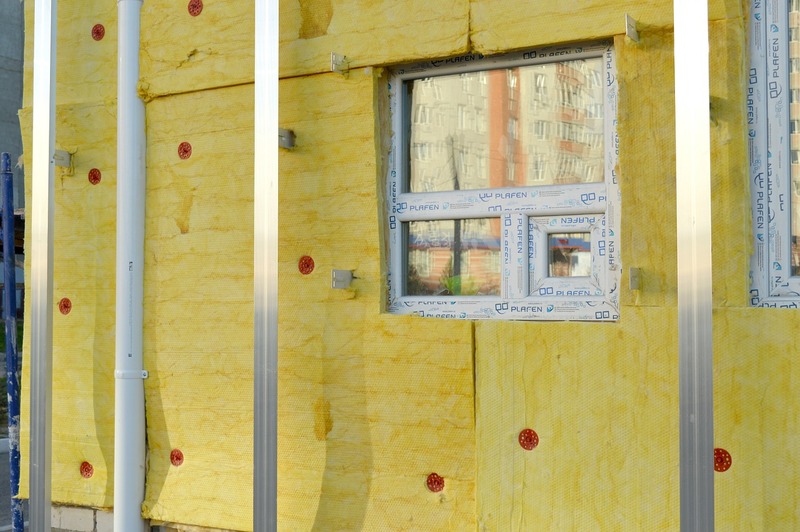 What other misconceptions about insulation have you heard about?